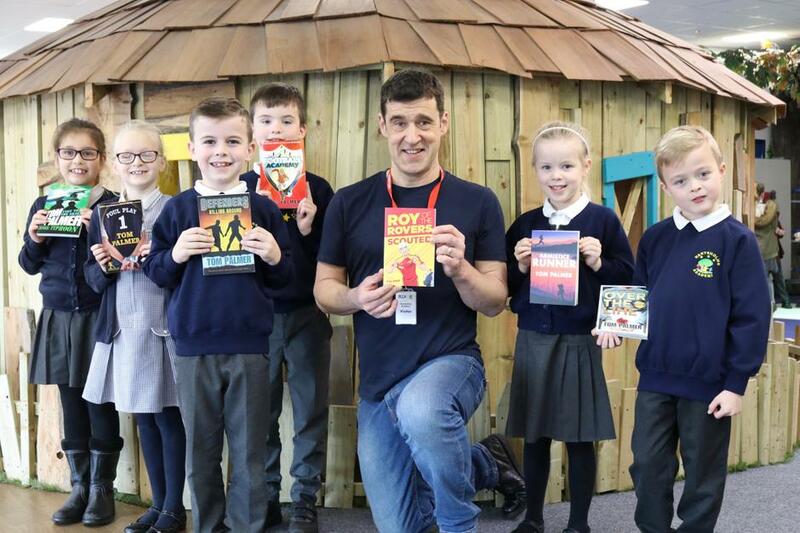 Children’s author Tom Palmer inspired pupils at a Lincoln primary school during a special visit. The Leeds-born writer’s day at Hartsholme Academy included a whole school assembly, Key Stage 2 workshops and a book signing. Headteacher Daniel Callaghan thanked Tom for the ‘hugely successful’ visit. “The pupils were overwhelmed by the opportunity to meet Tom and participate in his assembly and workshops,” said Mr Callaghan. “He was very engaging and excited the children about reading. “We first came across his work as a school last summer when he teamed up with the National Literacy Trust to release a thriller set at the football World Cup finals in Russia. Tom has authored 37 books. As well as football, stories have included spies, ghosts, planes, rugby, running and history. Mr Callaghan said: “Tom introduced himself during assembly, shared some of his books and spent time listening to and answering many, very interesting questions from the pupils. They really enjoyed learning the interesting facts he shared. “He made reading fun and relevant in the workshops with his football reading game, which is half quiz, half penalty shoot-out. Tom thanked pupils and staff at the school for the reception and response. “It is a lovely school with wonderful facilities,” he said. “The children were really engaged and engaging.